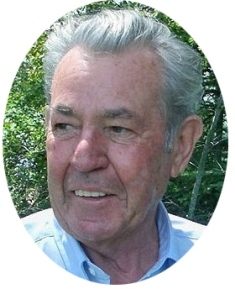 Harry Hohn, 85, of Sauk Trail Beach Road, Cedar Grove, died January 13, 2015. Harry ran the former Ozaukee Springs in Port Washington for over 20 years. Beloved husband of Elsbeth (nee Bernet), dear father of Debbie Lisberg, Patty Neuswanger and Susie Aledwan. Further survived by grandchildren, great-grandchildren, other relatives and friends. Fr. Guy Gurath will officiate memorial services 7 pm Monday, January 26, 2015 at the funeral home. Visitation 5-7 pm Monday at the funeral home. Community Education Foundation of Port Washington-Saukville, Inc.
← St. Peter, Ezra G.
Ich bin sehr traurig über die Nachricht von Harrys Abschied. Aber trotzdem GLÜCKLICH, dass ich ihn im letzten Herbst nochmals sehen durfte. Ich werde ihn NIEMALS vergessen und er hat bereits einen ganz speziellen Platz in meinem Herzen eingenommen. I am very saddened to learn of Harry’s passing. I remember him well and loved to go to Ozaukee Springs for cases of soda and cheese. He was always so cheerful and friendly. I am sure he will be greatly missed by his family and friends. Sorry to hear about Harry. He was “Simply Amazing”. Ozaukee Springs sells many good things. I remember Harry from Ozaukee Springs. When I was a kid I would go in there with my mom and dad. He was always very nice and always seemed to wear a smile. R.I.P. Harry.